Future Robotics arrives on Tuesday 13 November in The Slate at Warwick University – providing a timely resource for discussing vital trends affecting the UK manufacturing landscape. The UK’s investment in and implementation of robotic automation currently sits behind that of the rest of the world and in order to remain competitive in the fast-paced market, this issue must be tackled as a joint venture by industry and government. 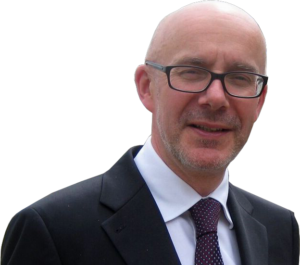 With this in mind, the organisers of Future Robotics are delighted to announce that Matt Western, MP for Warwick and Leamington, will open proceedings at the event. Future Robotics has also received the backing of a number of industry giants, including headline sponsor SICK, PILZ, SMC, Universal Robots, B&R Automation, Mouser Electronics and Servo Components. The one day event – comprised of a full CPD accredited seminar programme in addition to a live and interactive exhibition space featuring market leaders – has a limited number of tickets remaining. Those that wish to secure a last minute ticket to the event can place an order via the online form available on the Future Robotics website.